This is an original oil painting on gallery-wrapped canvas with painted sides that are 3/4". 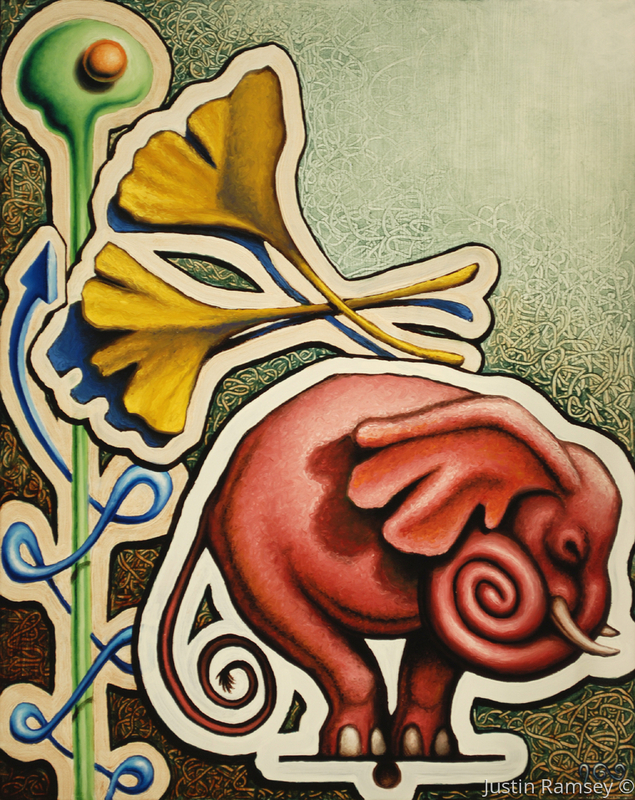 This painting depicts a number of intertwining symbols related to time and memory. Despite the dynamic presentation, it feels like a moment of introspective repose and reflection.